3D Architectural renderings boost sales, improve marketing and, produce a significant, measurable return on investment. Why invest in an architectural rendering? Well, because 2D sketches and floor plans are great for architects and developers, but they don’t always speak to the customer. Your clients might have a hard time getting an accurate picture of how the home or building will look based on 2D plans alone. And they’re not as likely to get excited about those plans. An architectural rendering is like taking a photo of a building before it exists. Residential clients will be able to see how the grey siding looks with the white trim or how the home would look if they added a deck. Commercial clients will be able how the building would look in the context of those around it. Clients develop and emotional connection, of sorts, to the property. They can picture themselves there, and that’s how sales are made. Architectural renderings are popular marketing tools, too. Most large-scale projects and developments are using them on brochures, billboards, websites and social media. A good, realistic 3D rendering to be used for marketing purposes costs between $2,500-$15,000. 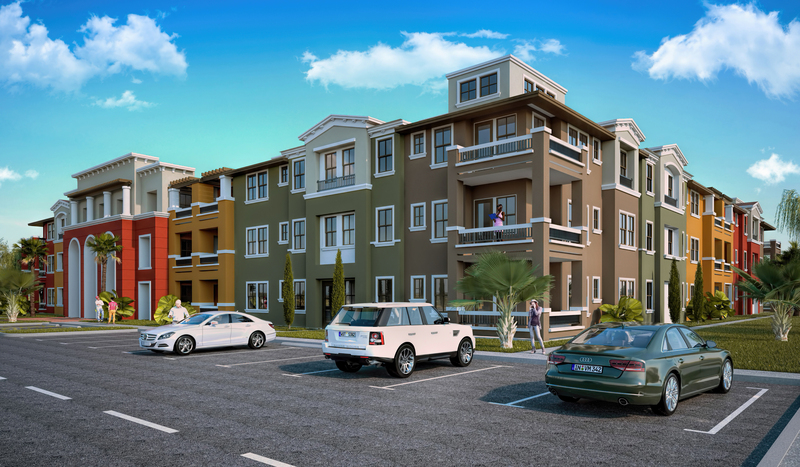 This gives you a full color, high-definition architectural rendering depicting buildings and the landscape in detail with people, cars, signage, etc. With a resort, for example, you’d see families lounging on the beach under an umbrella and people enjoying lunch on the clubhouse porch. When you’re developing a luxury home community, it’s worth spending $24,000 on 3d virtual tours so the homebuyers can “see” what they’re buying before construction begins. If it makes one sale, it has paid for itself. When you’re developing a $50 condominium project, it’s worth $15,000 to have a photo-quality image that helps potential buyers, investors, and other stakeholders understand what the project will look like when it’s complete. The decision is personal, of course, but we’d argue that it doesn’t make not to invest in quality images. If you spend $4,000 on an architectural rendering of a planned resort, and that image generates a newspaper article and the sale of 300 new vacation packages at $4,000 each, that’s a 300x return on investment.